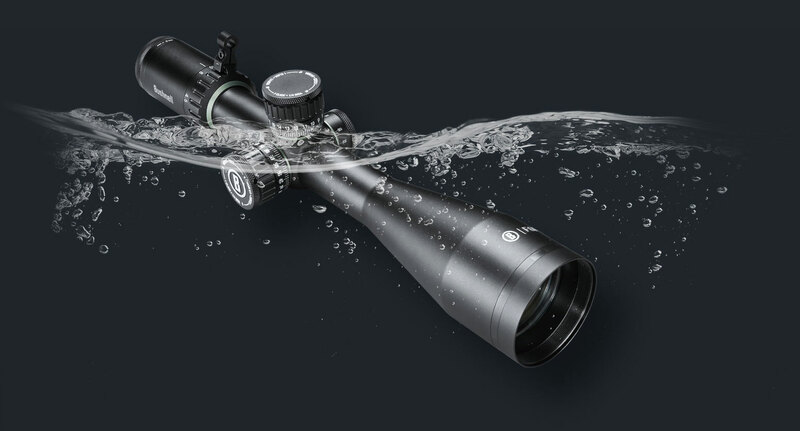 The sharpest, clearest, brightest optics in world—that’s Bushnell Riflescopes. 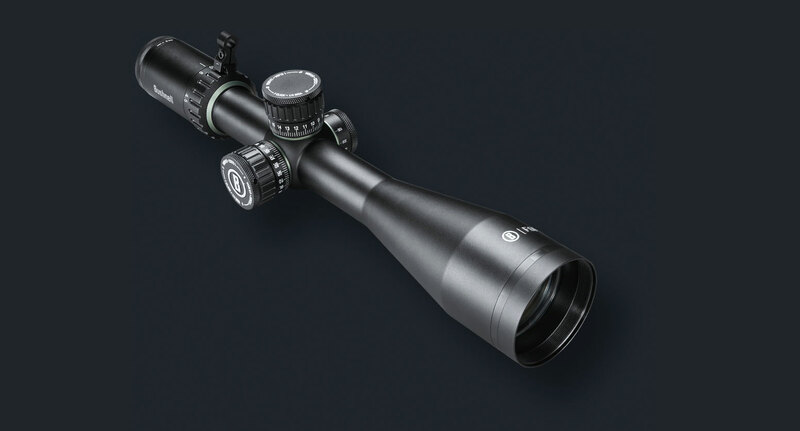 We’ve packed 65-plus years of innovation into our riflescopes. 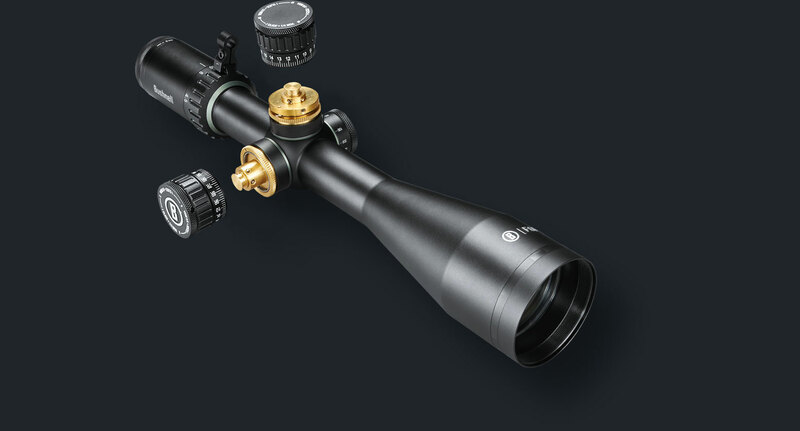 Hunt or Tactical, Bushnell has a riflescope that can perform in any condition and environment. Bushnell’s HDOS (High definition optical system) combines our key technologies like Fully-Multi coated lenses to deliver an amazing 95 percent light transmission across 300 percent more of the visual light spectrum and ED Prime glass for a high-contrast and color accurate picture. 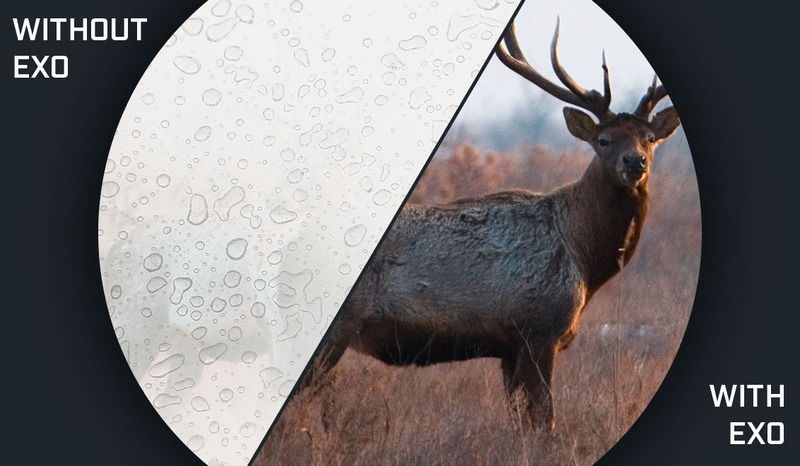 Exo Barrier™ ensures that the picture stays visible by keeping fog, water and dirt off the lenses so you never miss a moment. 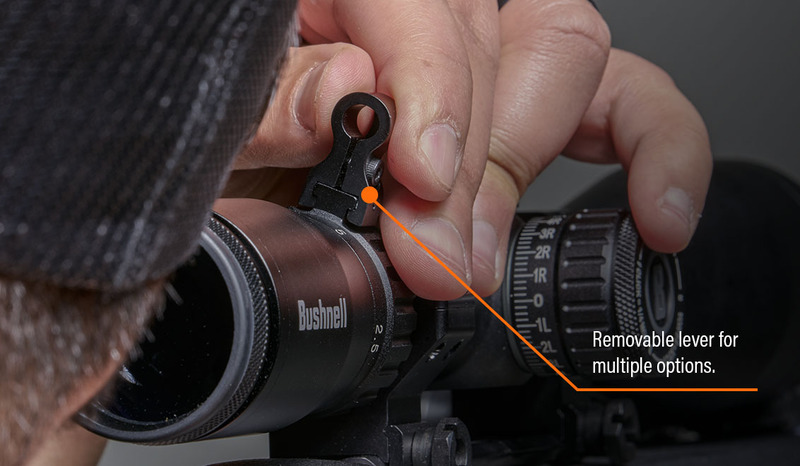 Throwhammer™ Throw Lever is a removable lever enables quick magnification changes with the flick of the wrist. 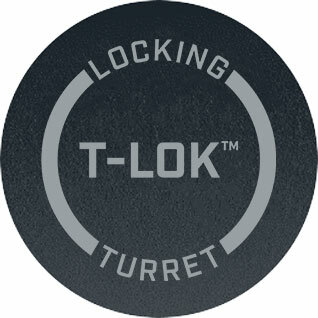 T-Lok turret can be quickly lifted for quick adjustments and instantly locked into place by depressing the turret to its standard position. 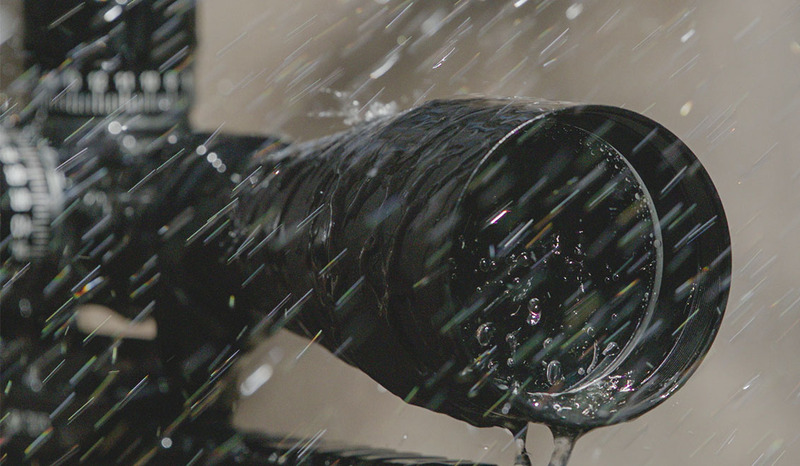 Products are O-ring sealed and nitrogen purged for total waterproof and fogproof protection. These models can withstand complete immersion in water and stay dry inside. 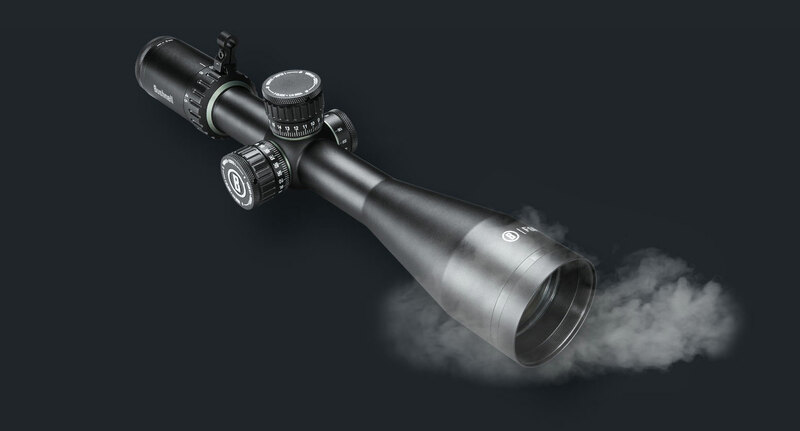 The interior optical surfaces won't fog due to rapid temperature change or humidity. 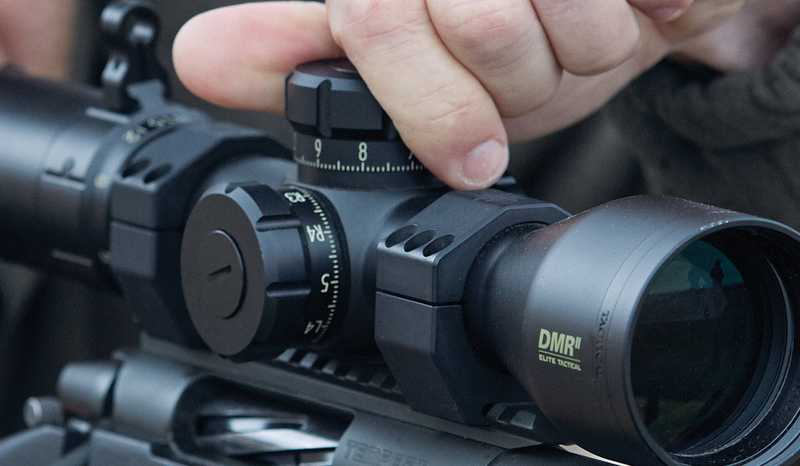 EXO Barrier, quite simply, is the best protective lens coating technology Bushnell® has ever developed. 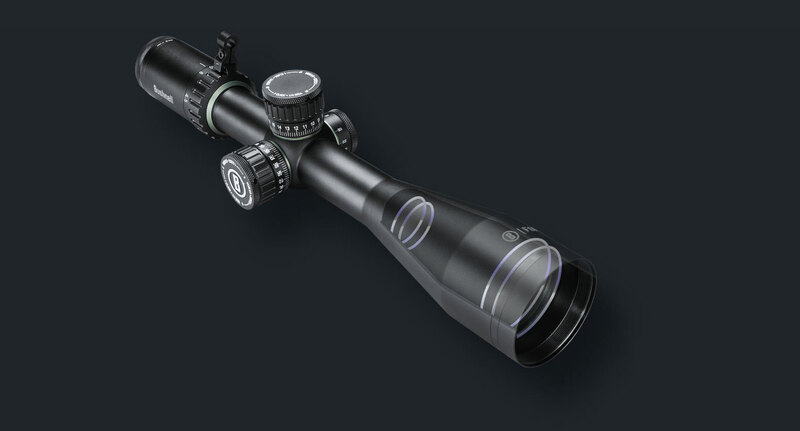 Added at the end of the coating process, EXO Barrier molecularly bonds to the lens and lls microscopic pores in the glass. 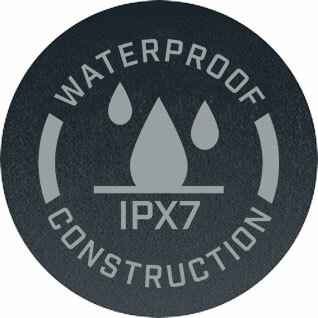 The result is an ultra-slick coating that repels water, oil, fog, dust and debris -- rain, snow, fingerprints and dirt will not stick. 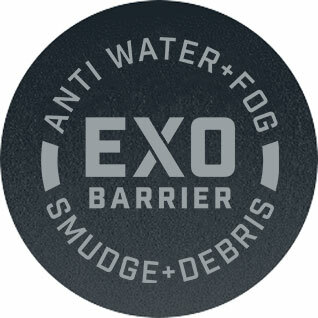 EXO Barrier is built to last: the bonded coating will not fade from the passage of time or normal wear and tear. 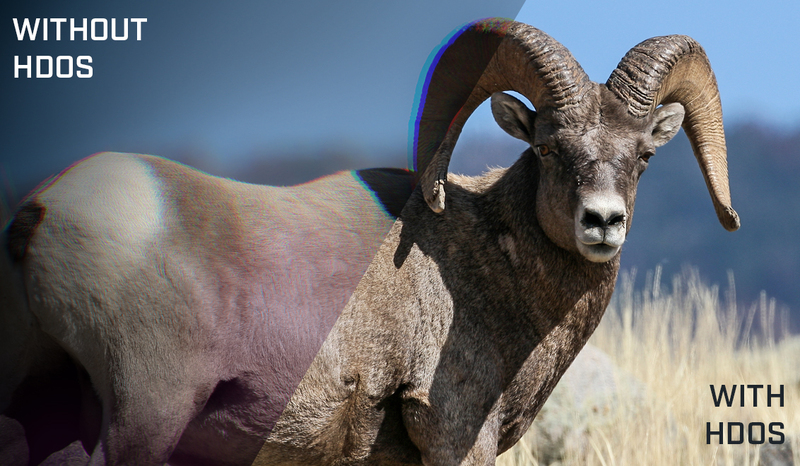 A delicate balance of glass, coatings and construction to achieve high performance in contrast, resolution, and color. This is measured using MTF (Modulation Transfer Function) testing in various light situations.